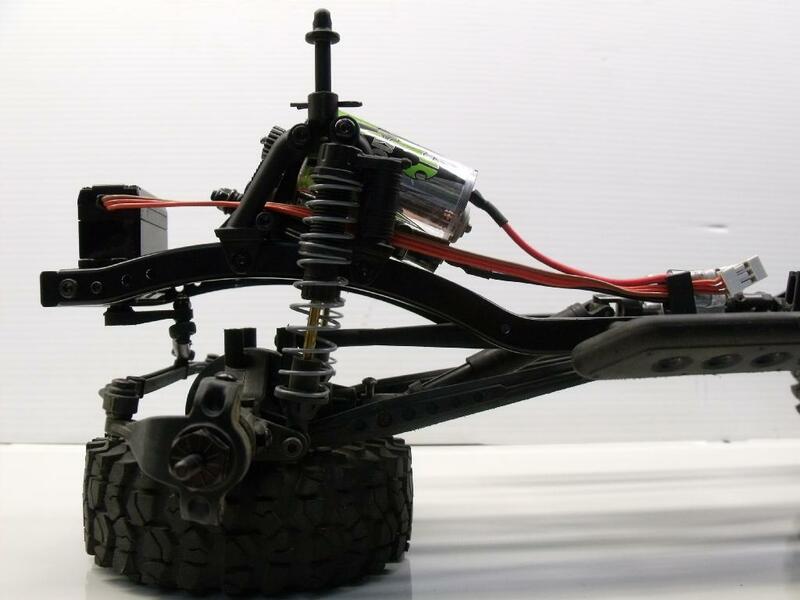 The SCX10 Front Motor Mount will allow you to easily mount your motor and Axial stock 3 gear transmission on the nose of the SCX10 frame, and make tons of room in the center for a Transfer Case and Interior for your custom build. This process listed below WILL move your body posts OUTward from the center by about 12mm on each side, though. 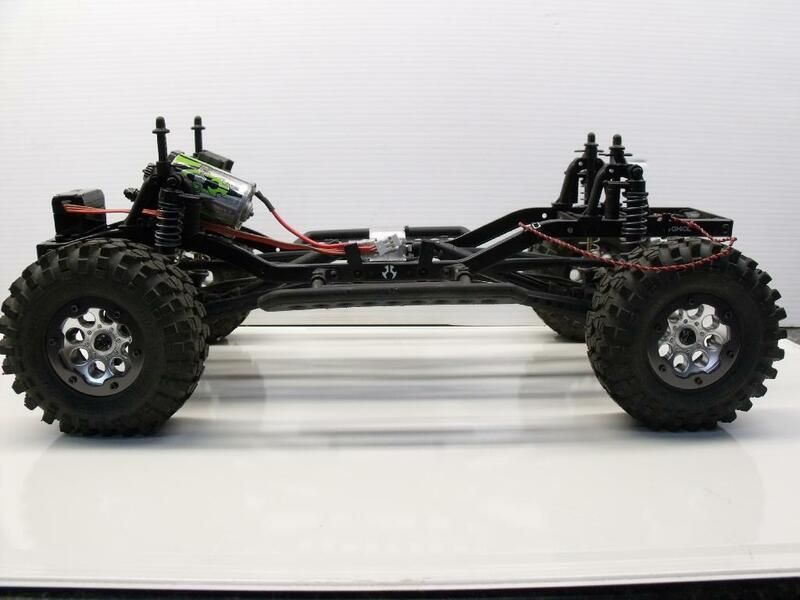 If you are in the middle of building a truck, and don't have mount holes in the body, this is no problem, but if you are re-using an existing body, you will need new body post holes to make this work. 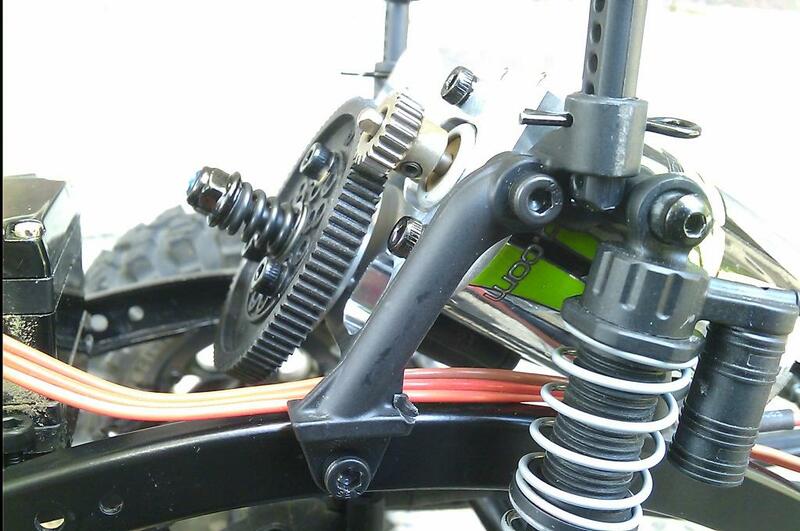 It also requires a frame mounted servo, available also at GCM, and removal of the axle mounted servo bracket. 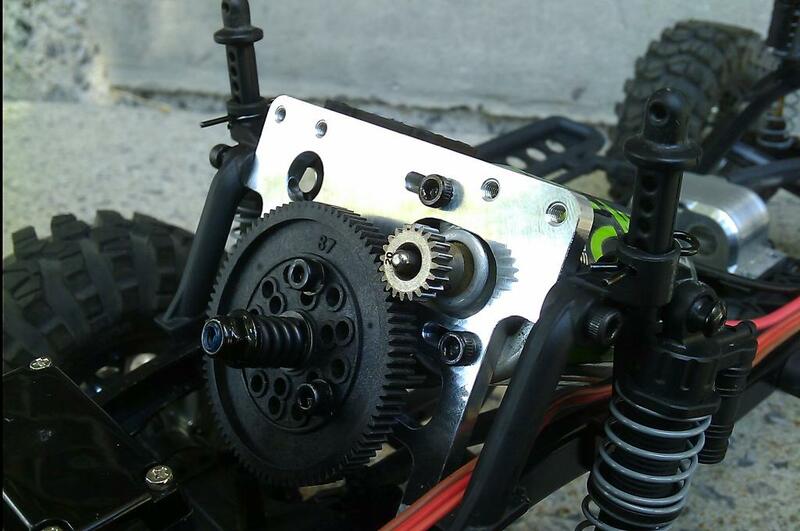 Step 6: Install your favorite GCM Transfer case in place of the stock center trans. It will directly fit to the 2 outside mount holes in the skidplate. Step 7: re-install your center FWD and Rear driveshafts on the T-Case, and then add one more same length shaft to the T-Case up to the trans at the front. Comes with all hex hardware and ONE front motor mount finished in BLACK.